Hey there. 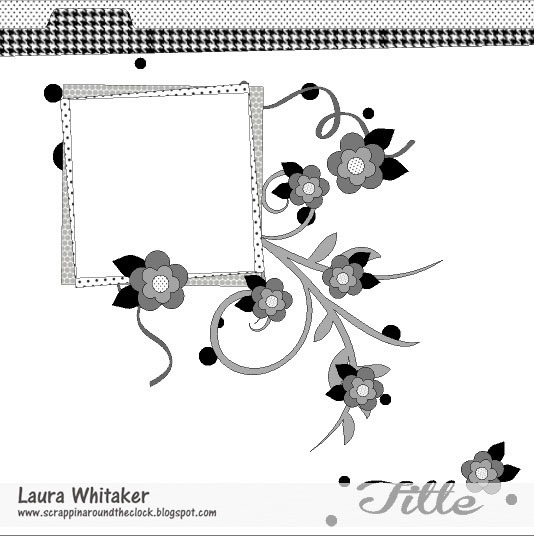 Writing up a short post today to share a LO I made using a sketch by Laura Whitaker for ScrapMuch? The photo I chose has my son looking up towards fireworks. I flipped the sketch upside down, so I could create exploding fireworks in an upward motion. To keep them from 'floating' on the page, I wove some twine around, then under the photo, continuing to the bottom of the page. I wanted to add more color to the page, so I layered up the bottom strips a bit more. A few small clusters of embellishments and sentiments about the page and that's it. This is the only photo of just the 3 of us form this trip to Disneyland. It was a very long and unseasonably cold day. But how can you say it's time to go just as the Fireworks begin? The answer is you can't. And although he was much more interested in watching than taking the photo (as he should be), it's meaningful just the same. Thanks as always for stopping to look at my creative view. There is more coming this week, so stop back again soon. Love how you flipped the sketch for your fireworks photo! Fabulous. The layering at the bottom is a great touch too! Thanks for playing along with ScrapMuch?! 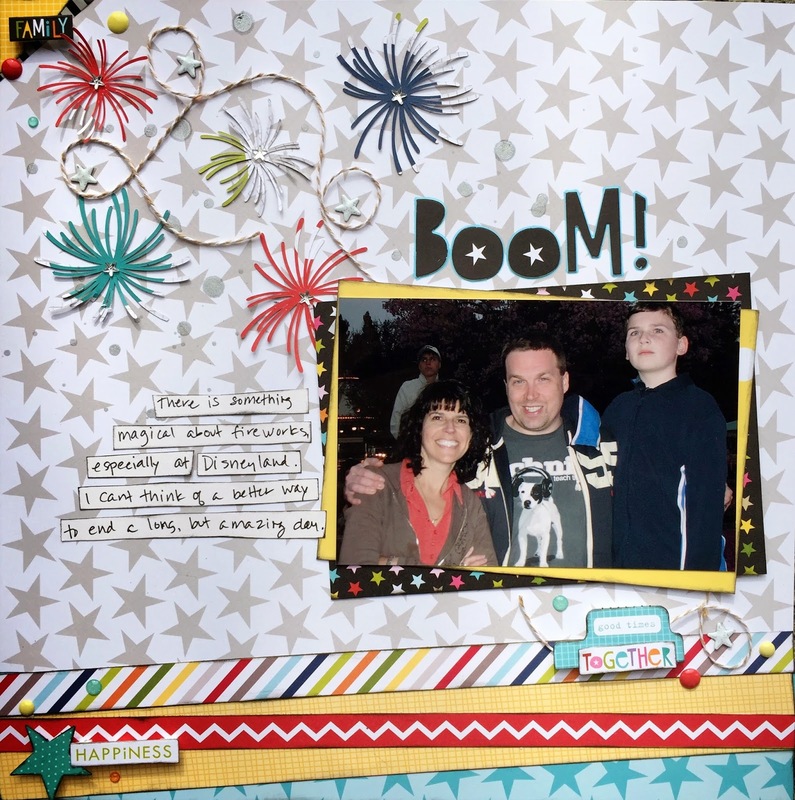 Nice use of the sketch Devra, love those fire works.....great page. Thanks for playing along at Scrapmuch? So fun!! I love with you did by flipping the sketch and creating fireworks. What an amazing page! Thank you for sharing with us at ScrapMuch? love the non traditional Disney colours for a Disney layout. Your fireworks and twine work is great!!! Thank you for playing with us at ScrapMuch? Love, love, love your take on the sketch! The fireworks and twine are awesome. Thanks for joining us at ScrapMuch? Awesome layout and what a great look for the sketch. Thanks for entering the challenge at Scrap Much? I love what you did with the twine + fireworks! So creative!! Thanks for linking up at ScrapMuch?! Devra this is great! I'm so happy to see your creations at ScrapMuch?! :) I love the fireworks and you really did a great job with those patterned papers. I really struggle with Bella Blvd products because I see them as so young and cutesy - and you made them look anything but. Awesome. Thanks for linking up!